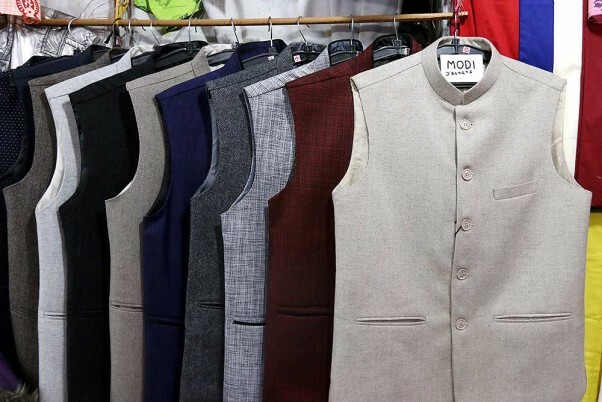 It is true that Nehru started the trend of the Bandhi jacket , but Modi popularised it with its versatility and vibrant hues. Modi Jackets at a showroom in Sarojini Nagar, New Delhi. 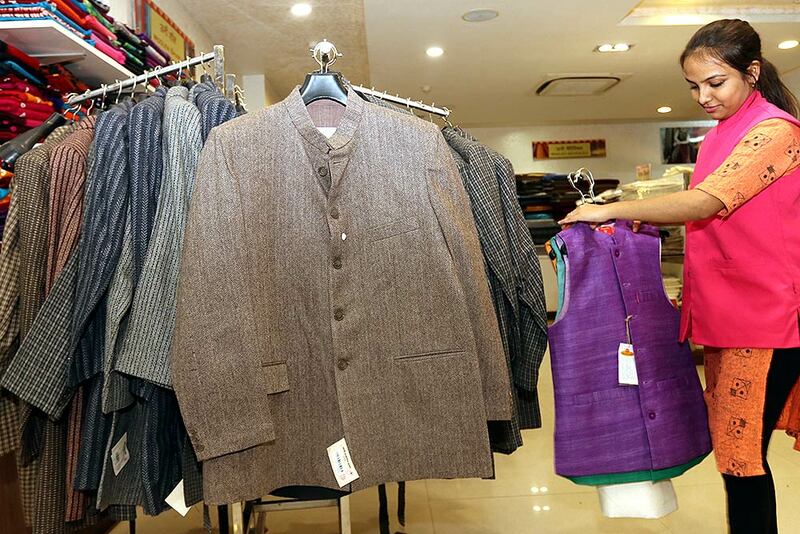 Modi Jackets at a khadi gramodyog showroom in Connaught Place, New Delhi. 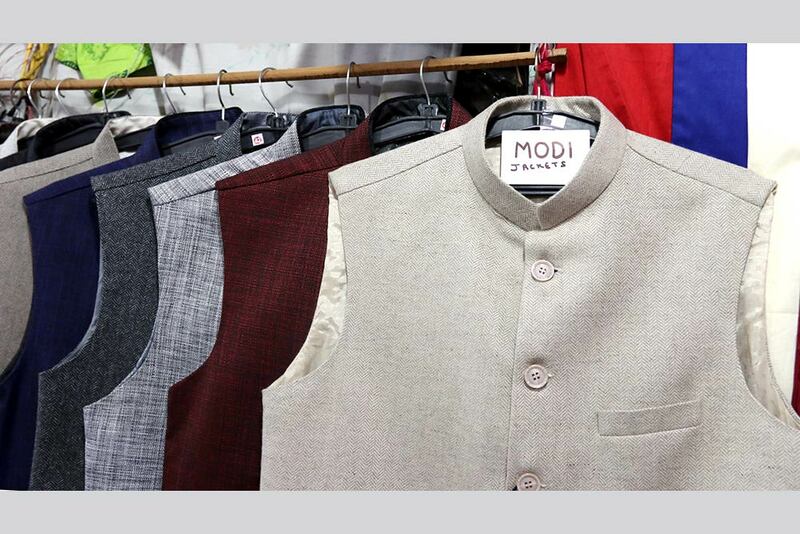 Modi Jacket at a showroom in Sarojini Nagar, New Delhi. 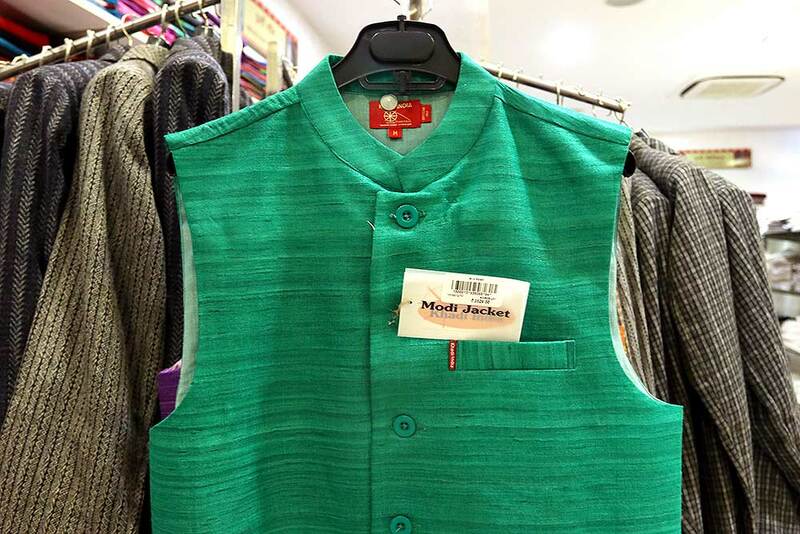 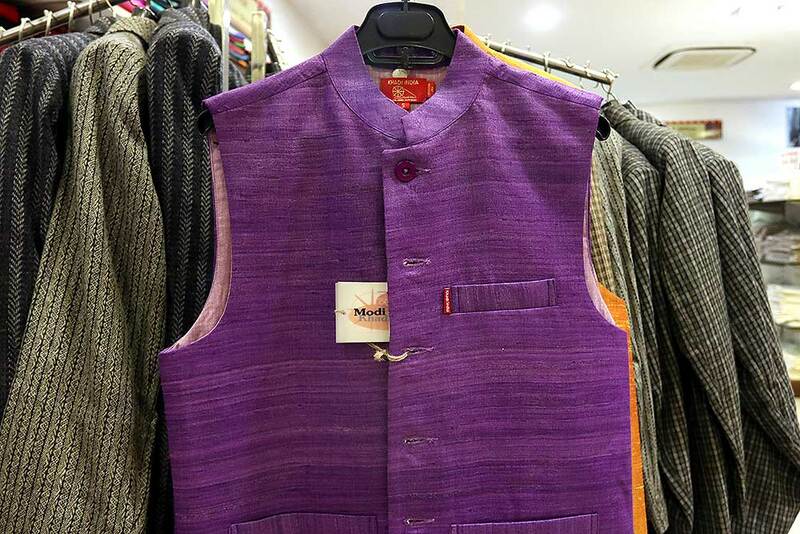 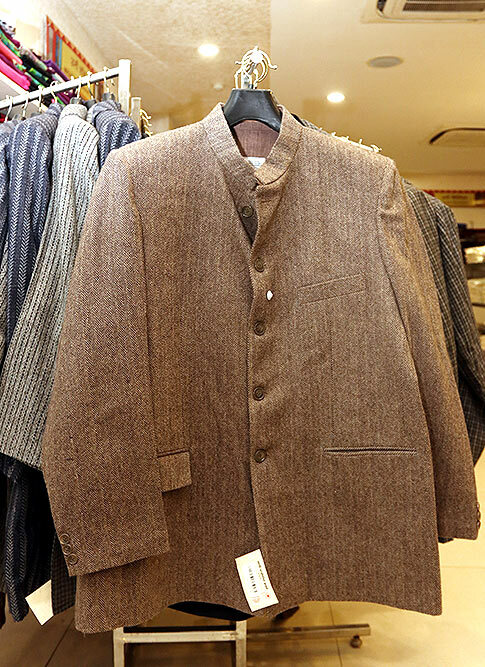 Modi Jacket at a khadi gramodyog showroom in Connaught Place, New Delhi. 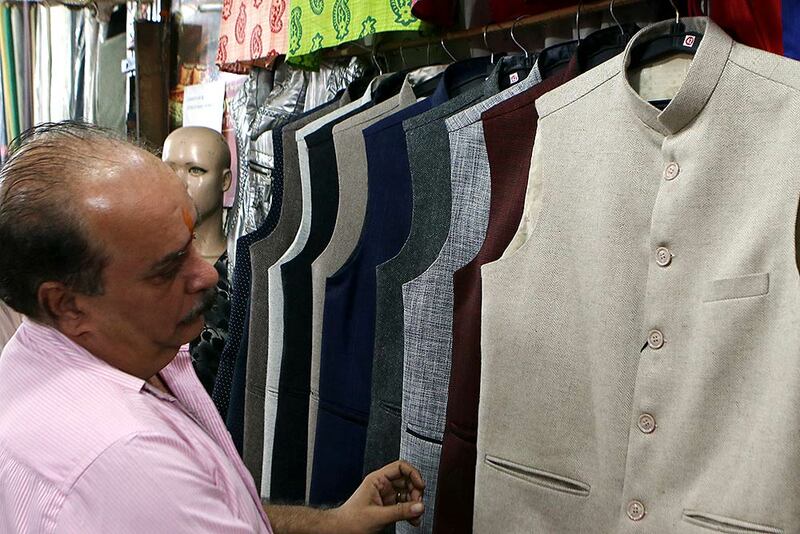 Modi and Nehru Jackets at a khadi gramodyog showroom in Connaught Place, New Delhi. 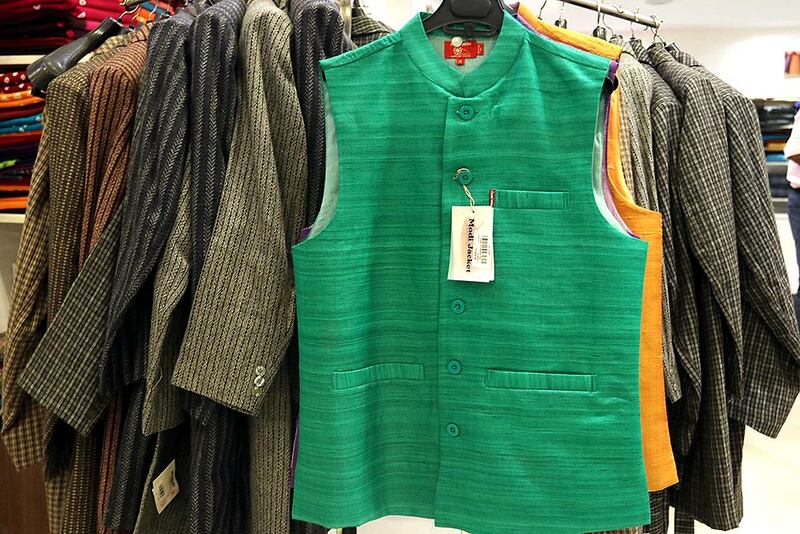 Nehru Jacket at a khadi gramodyog showroom in Connaught Place, New Delhi. 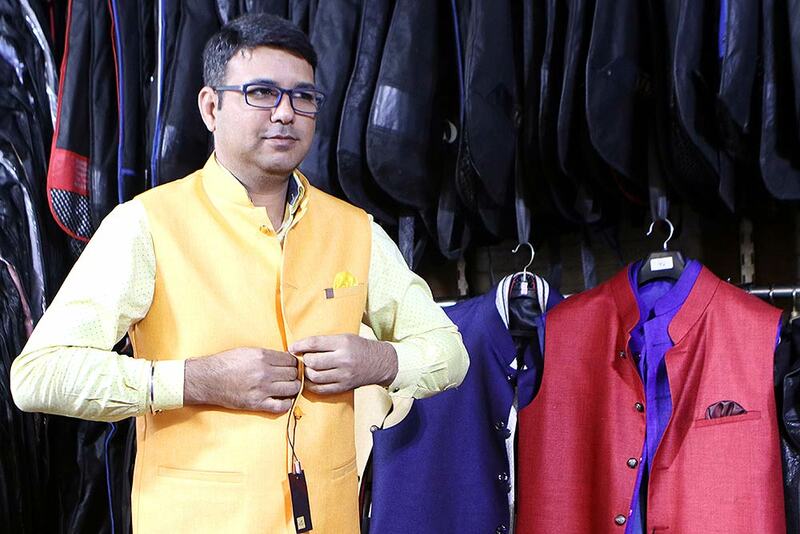 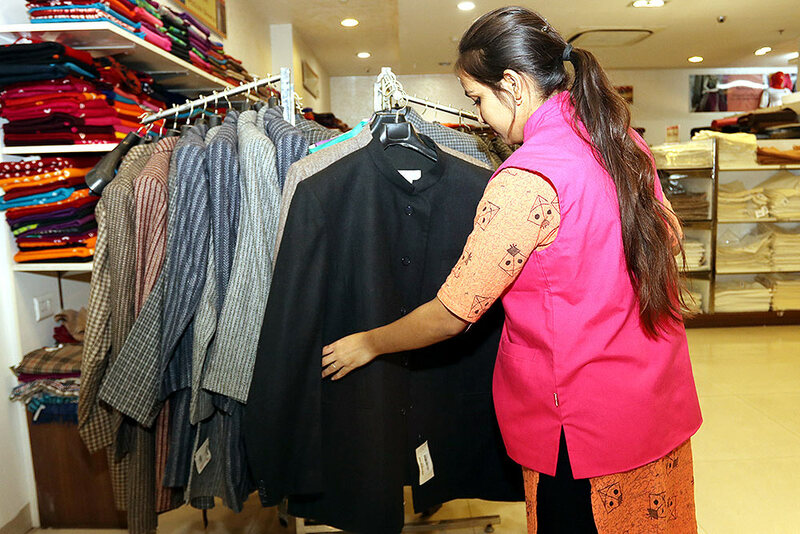 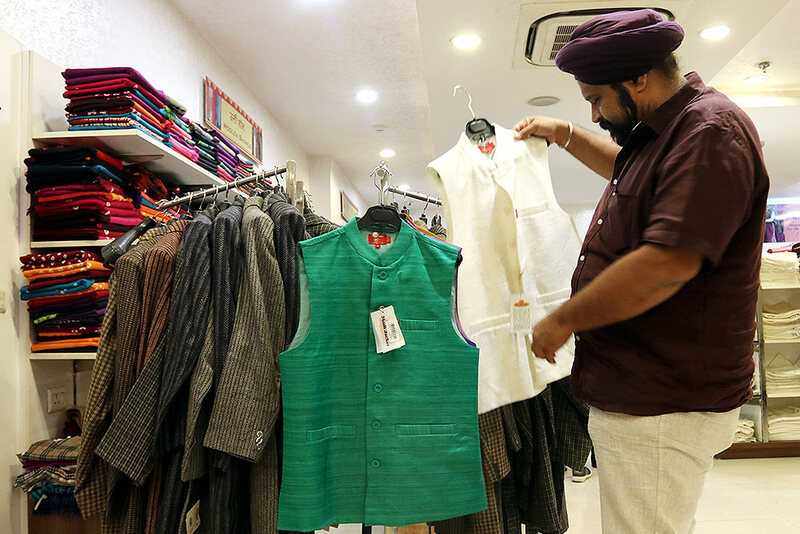 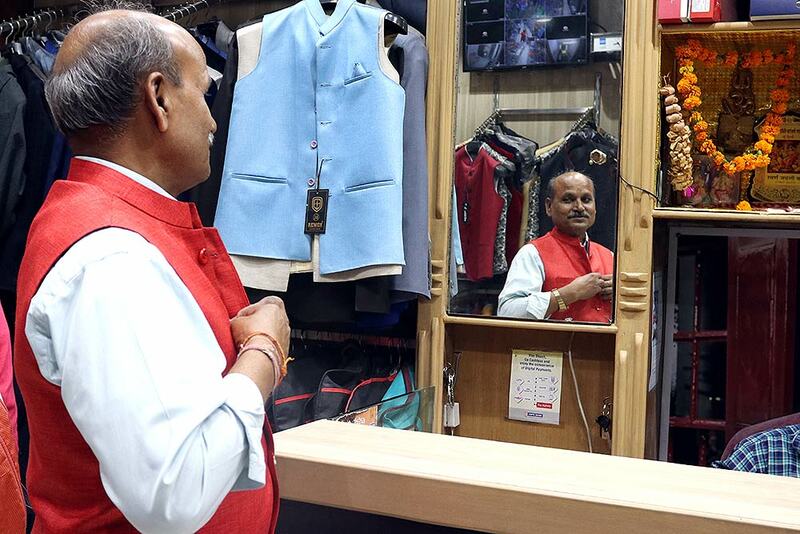 A man tries on a Modi jacket at a showroom in Sarojini Nagar, New Delhi.